Don't forget to enter the Sourcebooks fire Chills & Thrills Giveway! Squeels!! I'm so excited for the adorable journal, luggage tag, and passport holder from Disney-Hyperion and Big Honcho Media. 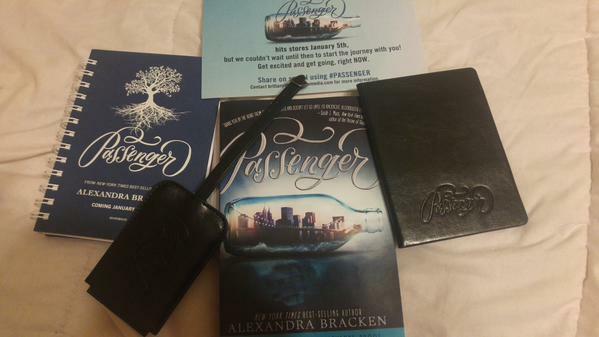 I can't wait to read Passenger by Alexandra Bracken!